Soak rajma in water for a few hours and cook them in a pressure cooker. Keep this aside. Cut carrots and tomatoes and boil for a few minutes till the raw smell disappears. Grind it to a fine paste in the blender. 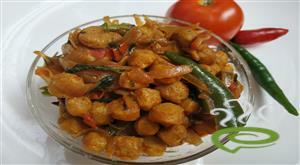 Cut onions and capsicum into fine pieces and fry them in a little oil till the onion turns golden brown. Add the tomato-carrot paste to this. Next, add chilly powder, garam masala powder and the reqd amount of salt. 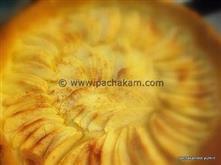 :-Serve hot with chapathis or rice. I tried this, it was soooo good ! !trust me. Shalini, what is meant by tadka? Yucky.Do not waste time trying this. this is a good one.thanks. 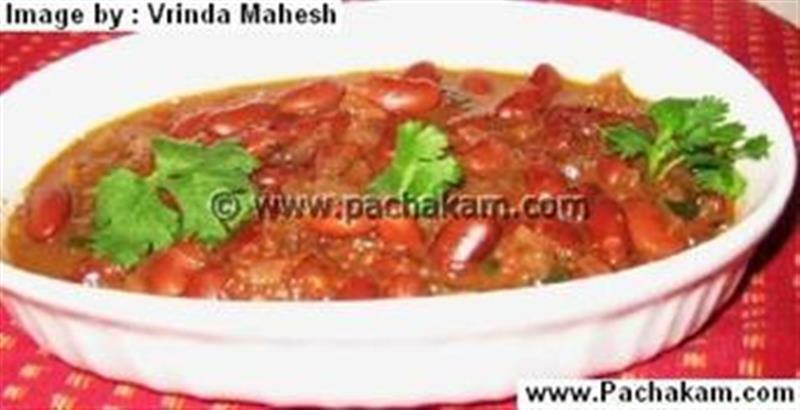 This is the worst version of Rajma I`ve come across yet.....it is definitely not a North Indian recipe. 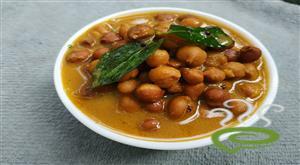 Good Rajma is a very simple preparation and uses whole spices like big elaichi, cloves and tejpatta. Make rajma with dry beans from scratch. The canned kind usually have a very "tin" flavor of the can. Simply soak the rajma over night and cook in a pressure cooker with the whole spices mentioned above, salt and water. Please do not add Garam Masala. Too many so called "north Indian" dishes are sacrificed at the Garam Masala altar. 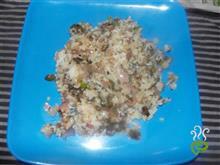 Give a tadka of onions and chopped tomatoes ( cook till brown and caramalised into a paste). Add to the cooked rajma and boil. Mash some of the rajma with a ladle. 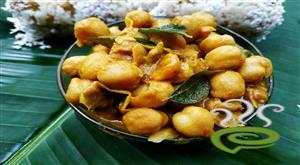 This thickens the consistency and makes the rajma creamy. For a true North Indian flavor use mustard oil for the tadka.